Why don’t more people do yoga? 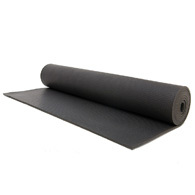 The Black Mat, standing seven feet and weighing in at more than 7lbs! Shove it in a bag. Negotiate steps, the subway, a bus, a bicycle, concrete. 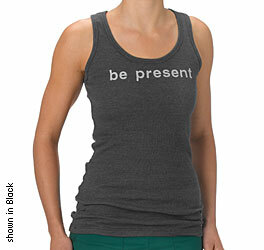 your high-ticket yoga togs on the street? 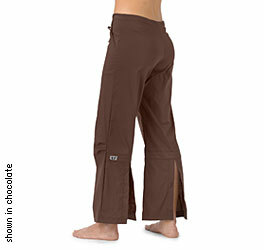 you announce to the world, I paid big bucks for shapeless drawstring cropped pants and a t-shirt with some one else’s God on it. My shirt is paying attention, so I don’t have to. Is that the B side? Sport tightie lycra gear with patterned insets and colored over-stiching. Romper suits for yummy mummies. That’s why more people don’t do yoga. The mat, the bag, the clothes. Not to mention, all those catty Yoga Queens. You’re familiar with the Jehovah’s Witnesses, out in their Sunday best with polite smiles, calm voices, taking time out of a busy day to let you know they’ve been chosen to airlift into the afterlife where pandas play with tigers while children of all colors live in one nation in the sky? Though certain they’ve been specially selected for eternal happiness, they’d like you to be selected too. And to that end, they freely share the Watchtower. Don’t expect the same step-up from a Yoga Queen. YQ’s wear a smug mug like they found a font of fat-free chocolate and they ain’t sharing. They want you to know their life gets better exponentially as yours gets worse. These queens bought at Lululemon and shopped till they dropped down to perfect splits. And now, they are spiritually better off . YQ’s don’t need a soul mate. They found their soul mat. It is in that behemoth bag over their shoulder. When a YQ asks, What’s new? 1. Didn’t you hear? I won the lottery! 2. Both my lovers are Versace models. 3. I’m engaged, isn’t this 8 carat diamond just flawless? 4. 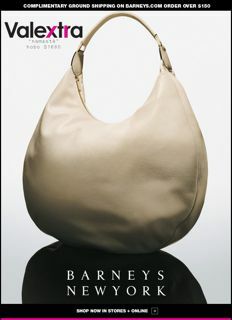 Check out my new purse, the Namaste Hobo, only $1,680 at Barneys. Yoga has changed my life so much too. Aren’t we incredible! answer a YQ, with news of heartache or woe. 1. My Mom/Dad has Alzheimers/cancer/Parkinsons. 2. My Grandmother/Uncle just passed away. 4. My son got kicked out of school. 5. My brother’s back in rehab for Oxycodone. 6. The bank took my home. 7. I’ve been laid off. 8. Bernard Madoff stole all my Aunt’s money even after she’d been sleeping with him for years. To these, Yoga Queen will respond with a far off gaze as she oversees the wheel of karma turn from up, up and away in her karma-free hot air balloon where she sips bubbling kombucha tea from her Sigg eco-jug. YOU really are having a tough year. And what can you say to that, if even you can speak? 1. Princess, your loved ones will get sick and die too. 2. One out of ten marriages end in divorce. Give me hubby’s number and I’ll guarantee yours is next. 3. Id’ like to share this new yoga boost with you. It’s called Adderall, I just bought it off of Craigslist. Here, take a few with your skinny chai latte. But usually less is more.